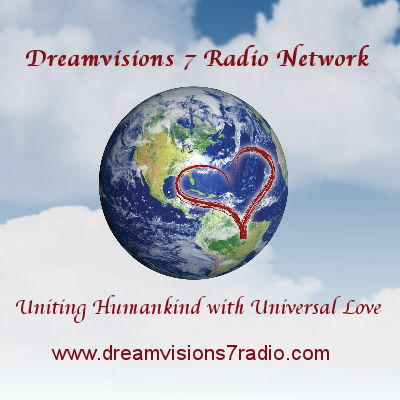 Q & A with Bernie – October 3, 2016 | Bernie Siegel M.D. I saw a phrase written on a bracelet that really spoke to me. 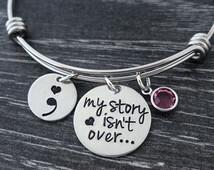 It said, “My Story Isn’t Over.” I ordered the bracelet immediately, and I am wearing it now as I type. I feel like this would be a great title to my second book, my first being about how I learned to control my Type 2 Diabetes. The second one is intended to focus on moving to the country after six decades of being a country girl. That alone is a grand transition, but the reason for the move is even more significant. You see, I learned later in life that both my mother and my mother’s mother both died at the age of 63. Since finding this out shortly before that time period in my life, I knew I had to fill out and complete my To Do list. And so I did. I traveled to Europe and visited Switzerland, the country I had always dreamed about seeing. When I returned, I still had some time before my 63rd birthday, and I got focused on the thought of moving away from the Bronx and living out my last year in the country. 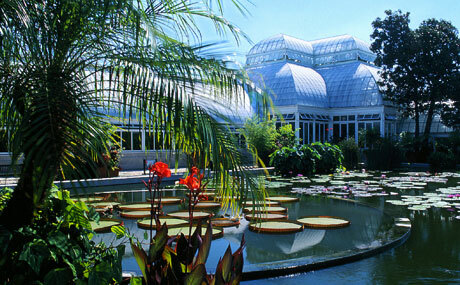 I always loved communing with nature and had only done so by short trips up and down the East Coast, a brief tour of the West, and Sunday brunches at the NY Botanical Garden. When I received a picture of a home in the Finger Lakes with acres of woods, a pond, and a man-made waterfall, I jumped at the chance to buy it. After all, this was my last year on Earth, so why not let it be a peaceful one. First, I joined everything around me, volunteered many hours of my days with various groups, and participated in several kinds of workshops in my town and the neighboring towns as well. I was running on the proverbial treadmill of filling in my last days with social activities and fun. Remember, this was my last year. Well nobody was more surprised than I to find that I made it to 64! What? This wasn’t supposed to happen! And so, I celebrated like a fool the entire year. And once again, I made it to another birthday! 65! Wow! How can this be? Amazing! On the one hand, I realized that my fate was not inevitable; on the other hand, I decided to take hold of myself. Since I thought I was dying, I managed to slip in a lot of carbs and sugars, and this is a huge no-no for a T2 diabetic. So I dropped most of the organizations I had joined, added more walking through the woods with my dog, and once again started to count my carbs each day. Now that I know my story isn’t over, I intend to make a difference by passing on the parts of me that I learned: Slow down, breathe, and enjoy the beautiful yet simple pleasures provided to us every day. Hi Bernie! Here is the picture mum drew of herself and the outdoor scene. She said she hopes you don’t mind, but she combined them into one. It’s what was really on her heart, how she saw herself. We couldn’t figure out how to scan it to you, so I took a few pictures with my phone in different lighting (so you could see the colors). I told her you said to use crayons, but she also incorporated other mediums. I hope that’s OK! Thank you for forwarding the drawings you asked you Mother to do for me. Like many women, she sees herself only in terms of her relationships, and does not value herself in the same way by developing a relationship with herself. 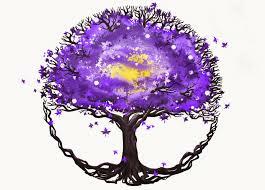 She is a tree of life and her relationships comprise multiple branches, but her tree does not have an intact trunk with strong roots to sustain everyone AND herself. The dark bundle at the bottom could be her disease. I cannot tell if it is black or dark blue. Is that a bird at top of tree which could represent her? They need full, well-rounded, authentic lives. Send me any comments. 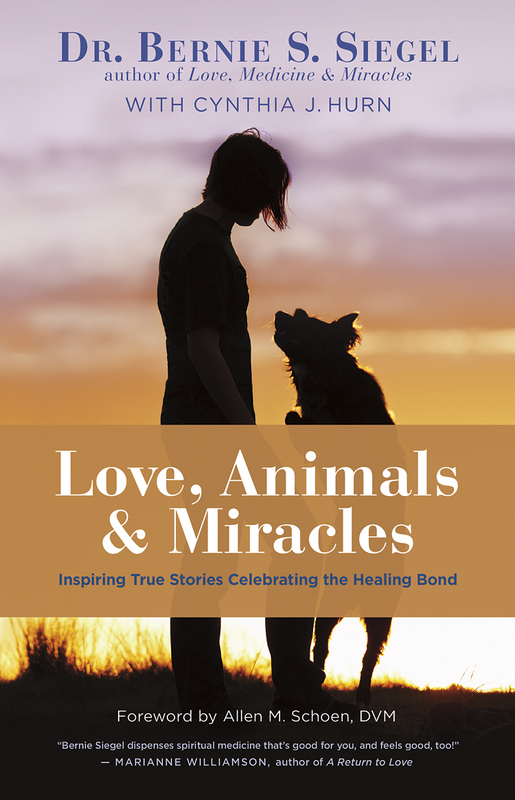 This entry was posted in Mind / Body Medicine, Psyche & Soma Revealed by Images, Q & A with Bernie, Relationships, Stories and tagged diabetes, draw, learning to love yourself, Love Medicine and Miracles, self-induced healing, Type 2 diabetes. Bookmark the permalink.